How To Attract Immigrants to your Caesar 3 City and Build your Population. As soon as you have available plots for housing, and have at least wells or more preferably fountains, you will see hordes of immigrants dragging their carts towards your planned housing-area. The game only activates immigration once you have your first housing plots set-down, and from then on migration will take place periodically, as long as the conditions to attract immigrants are in place. If you do not fulfil your people’s needs you will see that immigration will be less frequent and gradually people will begin to leave. Technically, in the game as soon as you have a population of one-hundred people, their mood and various other factors will count towards immigration and attracting further inhabitants. The first thing which affects immigration is the mood of the people, where a happy population will lead to more immigrants and vice-versa. Mood is itself affected by the basic services described in previous articles, such as enough food and water. Housing quality will also affect citizens’ mood and having too many areas with low-quality housing generally leads to an unhappy population; in the worst case you will see citizens moving out eventually and you can find out why by right-clicking on them. Another factor which affects mood is taxes, as with any city really. If you expect your citizens to pay high taxes for a city which effectively has a small population and not enough patricians, they will quickly become unhappy. Taxes which are too high (rising by over 5 or 6 denarii) will make people unhappy even if you have a fully-fledged metropolis, but if your town is advanced enough you can generally expect to raise taxes annually by one or two points. When the city is in good health it also attract more people; it is a good idea to first build some doctor clinics near your housing districts as to prevent the outbreak of disease which affects mood and prevents immigration. Once you have over one-thousand people living there, you can build a hospital which caters for approximately that number of people. Remember not to build the hospital too near your houses as it can affect desirability. Lastly, in order to attract people you need jobs. Jobs are the least of your worries since there should be always a shortage of workers especially at the beginning of your city. As you build more structures you also need more workers, and this will ensure that jobs are almost always available in your city. These are the main factors which attract people to your city. Address these problems first before things start to get out-of-hand, and remember to also hold plenty of festivals during the year as to keep your citizens happy in case problems should arise. This is also true if citizen’s mood has deteriorated; you can temporarily fix that by holding a festival which will improve mood somewhat, before you address the real problems of course. Your city will not survive without a population. In Caesar 3, people are vitally important to your city, so you will need to attract immigrants to work services and attract more people to your city. This chapter provides an overview of the population advisor screen. 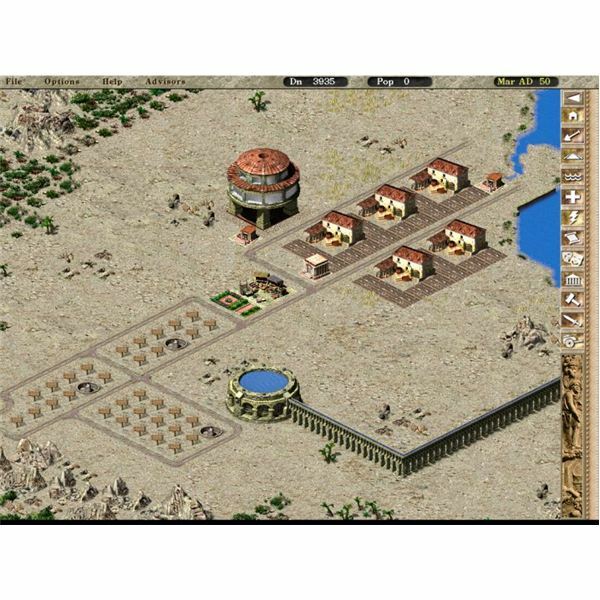 Overview of the Population Advisor screen in Caesar 3 - Understanding Population ratings in the Caesar 3 PC game. 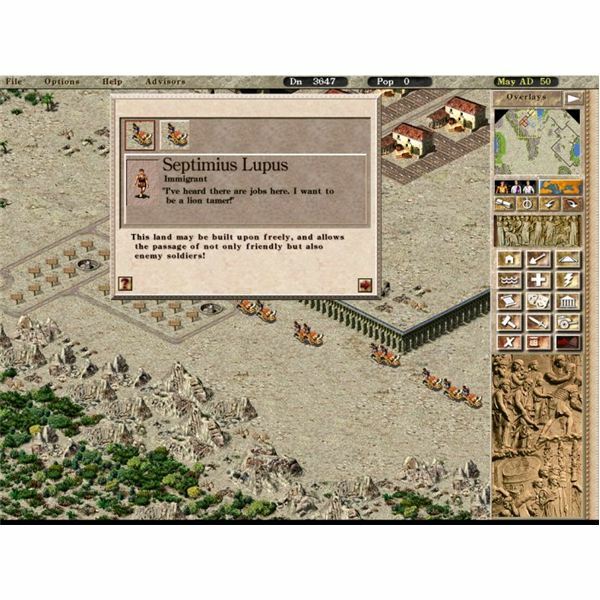 Overview of the Population Advisor screen in Caesar 3 – Understanding Population ratings in the Caesar 3 PC game.